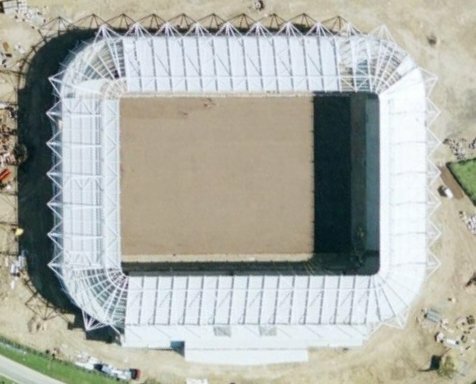 Take an aerial tour around Darlington Arena (requires Google Earth). 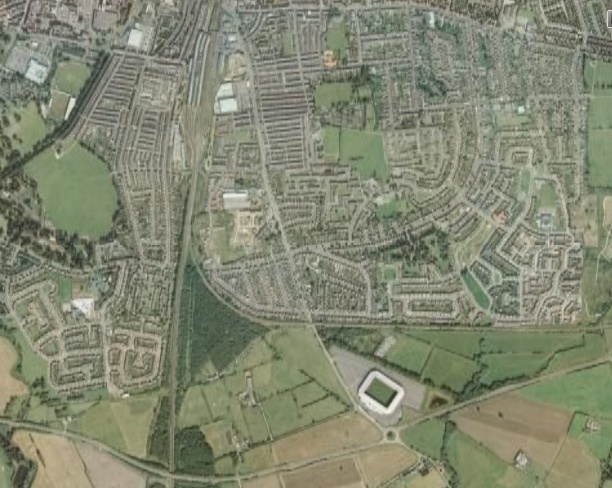 Leave the A1(m) at the Darlington/Newton Aycilffe Junction. Turn left at the roundabout at the end of the slip road, then head straight through Coatham Mundeville. Keep following this road and pass the White Horse Hotel on your right. At the next roundabout turn left and follow signs for the A66 Teesside, go straight over the mini roundabout through the set of traffic lights (if on green of course) until you come to a large roundabout. Go straight on until you come to a 2nd large roundabout, from here take the 3rd exit leading towards Teesside Airport, passing the Brick Train on your right. Straight over the next roundabout until you come to the Hurworth.Town Centre. Turn right here and enter access road for stadium. Leave the A1(m) at Junc.57 for Darlington. Follow road to roundabout. From here take the first exit off and follow road to second roundabout (reg vardy on right). Head straight over and follow signs for Teesside until you reach next roundabout. Turn left here and stadium is on right hand side. 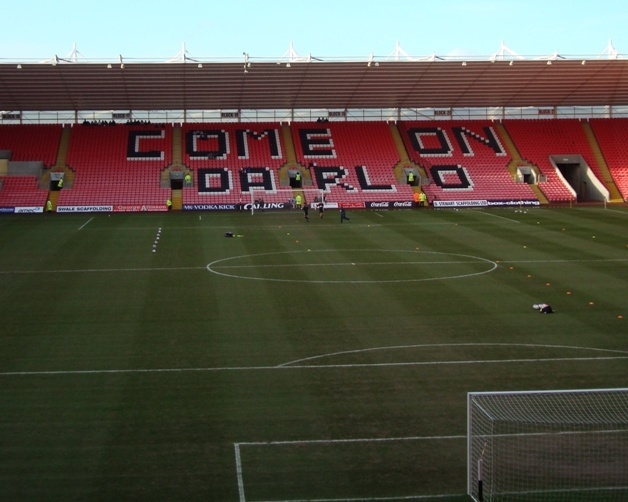 Darlington is the nearest mainline train station to Darlington Arena and is about 2km away. There is car parking available at the stadium at a cost of �5.00 per car. 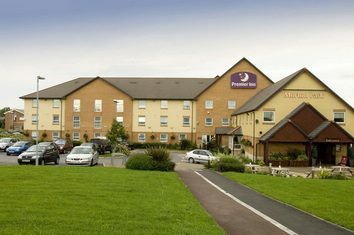 Email us to recommend any local attractions near to Darlington Arena and we will list them here. The Copper Beech on Neasham Road has been recommended to us. 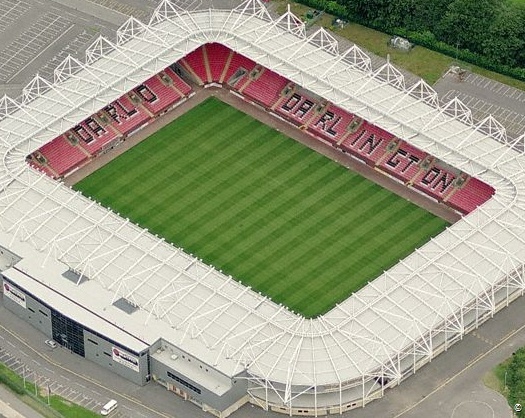 Email us to recommend any pubs and restaurants near to the Darlington Arena and we will list them here.